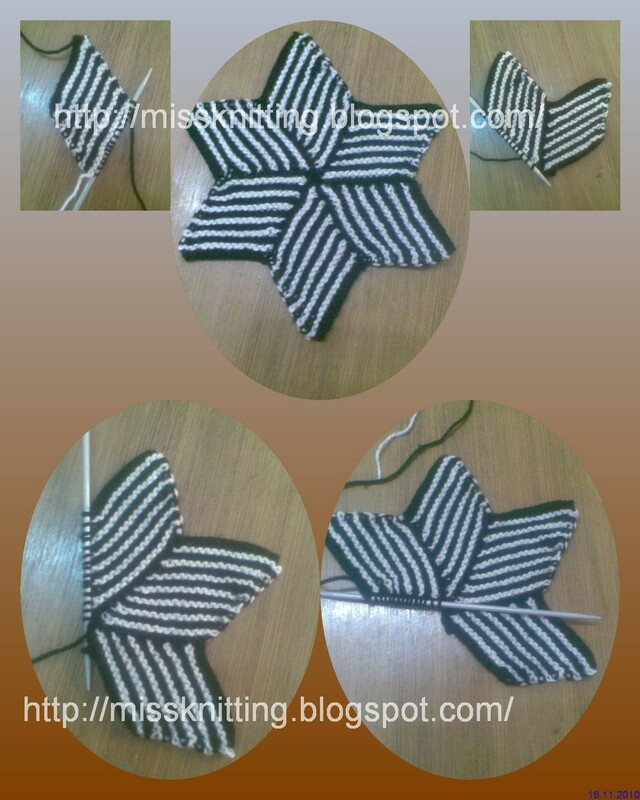 This is the six pointed star motif. It is a seamless star as you can see. 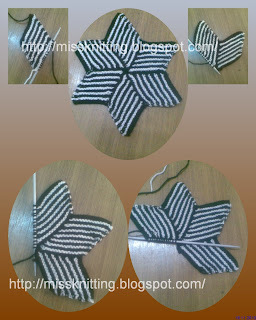 I didn't use the short row as the previous motif-pinwheel , but I have used pick up method to complete it. I am just trying to improve my knitting skills by practicing some other types of knitting. you should become a professional knitter!!! Thanks so much for your compliment. That is really wonderful words form professional knitter like you dear Christa. Is there a pattern we could access? I'd love to do some for Christmas decorations! I second the motion for a pattern!!!! Please post where we can find it! Sorry I didn't surf this page for some time. 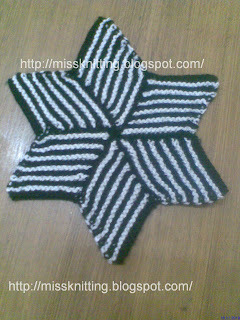 The pattern is from book called " A fourth treasury of knitting patterns" by " Barbara G.Walker.